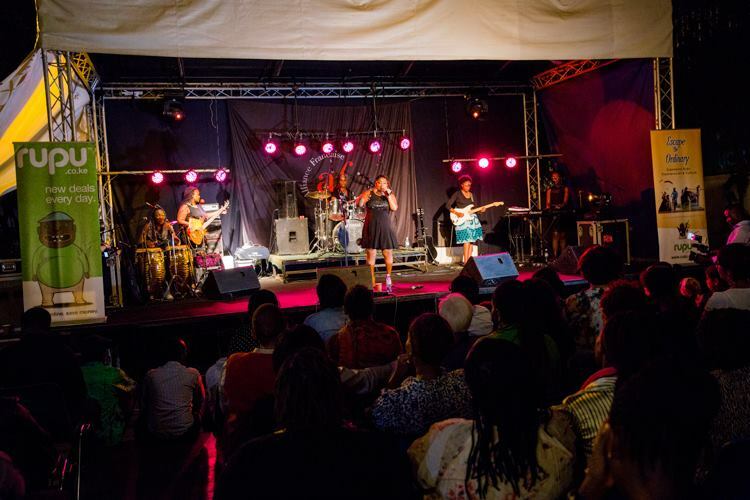 On the first of April, I attended an event named ‘An Evening of AfroJazz; Divas Edition’, an incredible event by Ricky Na Marafiki band at the Alliance Francaise gardens. The lined up for the evening was a bevy of incredible ladies prepped to set the stage on fire, with most of them all glammed up for the show and ready to blow away the audiences with stellar performances. 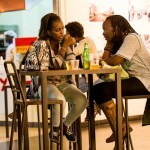 The Alliance Française garden is relatively small and easy to traverse, with the great ambiance to it. They offered delectable meals and an interesting assortment of drinks as we waited for the show to begin. 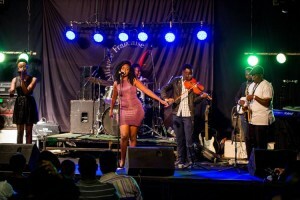 The first act to tantalize us was a beautiful lady called Ms. Okinda, who fused the beautiful Luo language with her sultry voice. I love the way music has the power to cut through language and resonate with any audience. 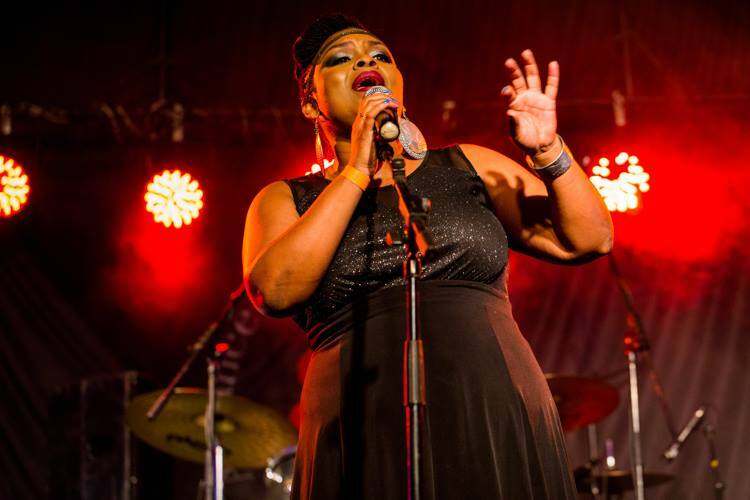 The highlight of the night was by sassy June Gachui, who took the stage as a queen of vocals. 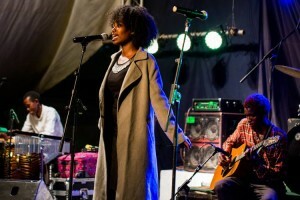 She was backed by an amazing band that comprises of females only, they are known as the Flower Project. This was phenomenal. June threw in a few Jazz standards such as ‘Baby don’t cry’ and ‘Cry me a river’ by Ella Fitzgerald. She fused the jazz bit with some of her own composition and had the audience singing along. Through her set, June kept the audience engaged making it an enjoyable show. When she performed Tevin Campbell’s ‘Can we talk?’ all the ladies felt like they had taken a trip back in time. With her performance June managed to blend the younger members of the audience with the older members into one cohesive unit. 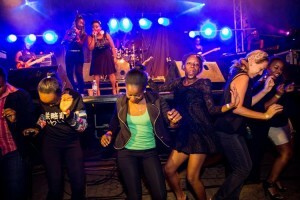 June also performed Benga and Lingala hits that drove the audience to the dance floor. 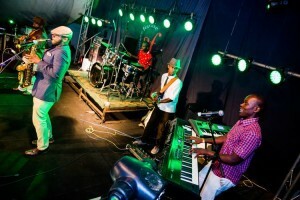 The Ricky na Marafiki Band who took the stage last, had a good time entertaining a crowd that was already eagerly awaiting their hits. The band has always had a magic touch since time immemorial to keep their ‘marafiki’ fixed to their seats till the very end of their set. Kenya National Youth Orchestra Edition of Conduct Us. hi June it was a pleasure to meet you today. Thanks you ladies!! Maureen… The Flower Project and I appreciate the love… We’ll keep the #NyummyMusic coming! You are welcome June. I will be there. Ensure to throw in an invite. *excitement face* =) #NyummyMusic it is. Hey Lan, Thank you so much for stopping by. I appreciate the love . Thanks for bookmarking the site. Share the love too. the highest changes. Thanks a lot for sharing!